For San Jose plumbing emergencies call Genmor Plumbing, Inc. at (408) 933-9874 today. Our professional specialists will urgently assess your plumbing emergency. Click here to view our online coupons and specials. Whether your plumbing emergency is a leaking or burst pipe or a backed up sewer, speed and plumbing expertise is of the utmost importance in order to get your situation under control. Click here to see what other San Jose, CA homeowners have to say about Genmor Plumbing, Inc. Plumbing emergencies can happen in any area of your home where there is water. Toilets, sinks, and drains are some of the most common areas we see. You can also see plumbing emergencies in sewer pipes, hot water tanks, or grease traps. It’s crucial to have a qualified professional at Genmor Plumbing, Inc. to take look at what the issue is and how to correct it. The longer a plumbing emergency goes undetected, undiagnosed and unfixed; the worse the problem and the more severe the subsequent potential damage can become. When you have a plumbing emergency, you very likely could be looking at significant damage especially if the problem is not contained and repaired quickly. Property damage due to plumbing issues can be quite severe, expensive and stressful. As soon as you recognize a plumbing problem, whether it is significantly diminished flow of water, a burst or leaky pipe, no water, drain issues, lack of hot water, or overflowing toilets; your first step to control the issue is to turn off the water to the house. The faster you are able to act and stop the flow of water into the house, the less extensive the property damage that is likely to occur by the time the plumbing emergency is fixed. The second step is to call the experts at Genmor Plumbing, open 24 hours 365 days a year for your plumbing emergency. 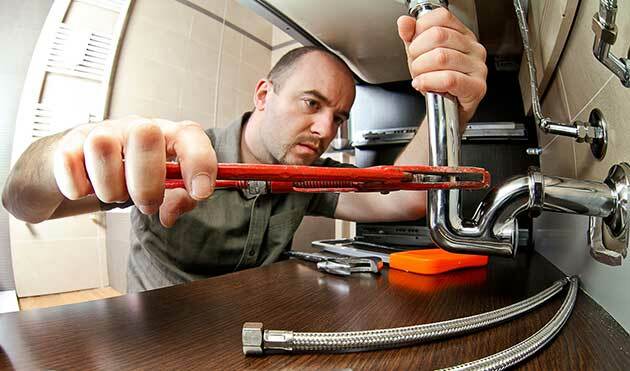 Call in a qualified and experienced San Jose plumber as soon as possible to come out to your home. By getting your emergency plumbing situation under control, the better the chance you have, of limiting the amount of property damage you will suffer. If a skilled professional can fix your problem, the less you will have to pay out in further repairs, such as restoration of walls, flooring, and carpeting, etc. If these things are done quickly, you will hopefully be able to minimize the extent of the damage and the amount of cost you will have to pay out in repairs and restoration. In the event of a plumbing emergency, remember to shut the water off to the house and then urgently call Genmor Plumbing, Inc. at (408) 933-9874 in San Jose, CA and the surrounding area, so we can urgently send our expert professionals out to fix your plumbing emergency and get you back on track.